When I was in junior high, I had a crush on a girl, but I was too afraid to confess my feelings. She had a boyfriend, so I settled in the friend zone. I listened about feelings and tried to support her decisions. I was always the nice guy. When she became single, I was still too chicken to ask her on a date. We remained friends because I never worked up the nerve to make a move. I got stuck in the friend zone. The worst part was that I spoke about it years later; she asked why I never asked her on a date. It turned out I could have dated her all along, but I never acted! It was a painful lesson for me, but I learned a lot from it. It helped me to realize that the knowledge I gained can be adapted to almost all areas of life – even for content marketing. In content marketing, we create content that “courts” our prospects, but we often fail to push them to the next step. I’ve seen businesses invest tens of thousands of dollars into content, only to be left empty-handed because their readers never turn into customers. Because once the reader consumes the content, there’s no road to follow deeper into the funnel. There’s no marketing in their content marketing. Along with content, we need a system that uses calls to action, lead magnets, and email marketing to capture subscribers and nurture leads. The goal of content marketing is to transition your readers into buyers. It’s important to manage how your customers interact with your business. An online sales funnel maps each step a prospect must take before they become a customer. This helps you plan content (on your website and via email) that guides them through each step. 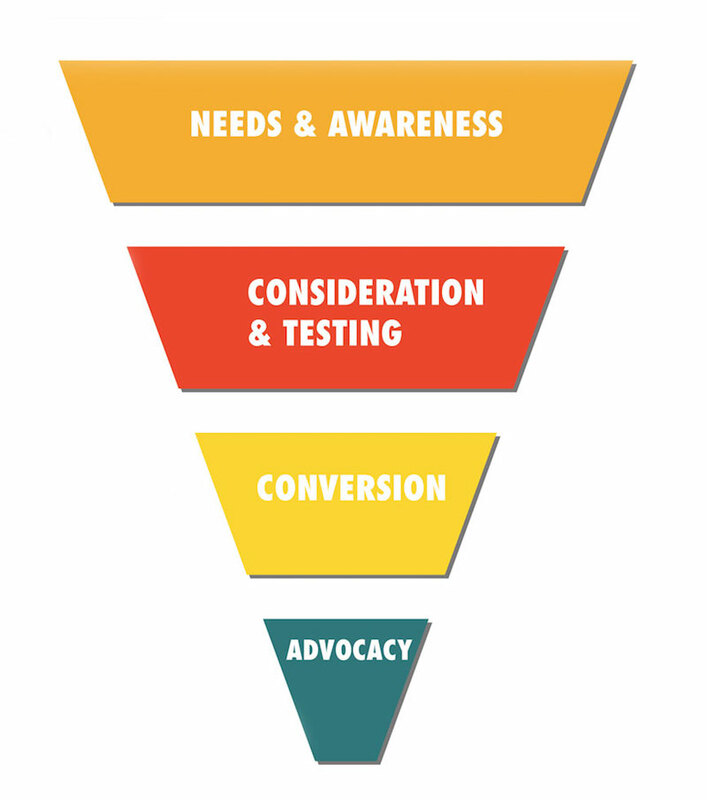 Generally, a funnel has four main stages. Awareness: This stage is website traffic that finds your site through a link or Google search. Visitors may not understand their own problem, so they need you make them aware of what causes their pain. Consideration: These are leads who understand their problem and are considering a solution. They opt into your email list through a lead magnet to get some solutions and check out your value. You can segment, score and nurture them with email content. Decision: These are people who know their problem and how to solve it. In this stage, they evaluate solution-providers. Purchase: These people have purchased your product. You can serve content to help them use your product or service so they buy additional products and refer others. A piece of content doesn’t have to take the reader through the entire funnel. It just has to get them to the next stage. Let’s say we’re selling a social media scheduling tool. The content we create should address each stage of the funnel. Here are some examples. A mapped funnel creates a framework for your content. You’ll understand where your reader starts and where you want them to end. Buyers are 48% more likely to consider a solution when they consume personalized content, so buyer personas are critical to effective content marketing. To escape the content marketing friend zone, we have to go beyond the state of our customers now. We have to consider how they change. 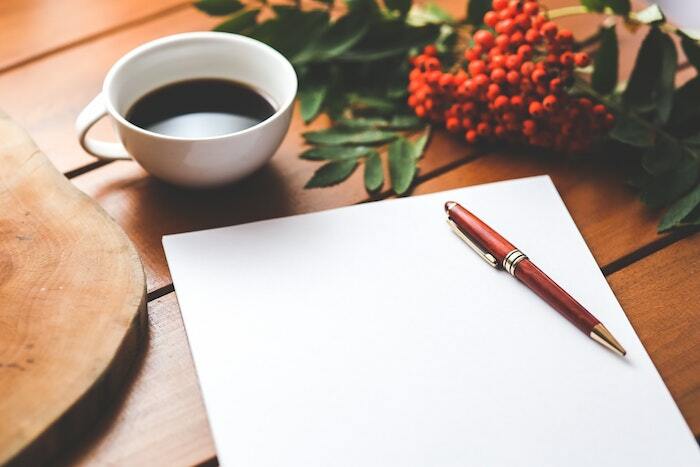 When you create your buyer personas (here’s a good guide with a template), the goal is to identify the reader’s problems and needs in each stage of the funnel. The best way to do this is through interviews. Get on the phone (email works, but it has limitations) with people who are likely to buy your product. Ask them about their goals and problems. Probe deep into their lives. For instance, someone in the third stage of your funnel wonders why they should buy the Acme Social Media Scheduling Tool over a competitor’s’ product. At first, it might make sense to emphasize the affordability of your product. People like low prices, right? But after segmenting your persona for each stage of the funnel, you may learn that your target customer is making a business purchase, and since they don’t own the business, they aren’t concerned about the price. Or if they are concerned about price, they accepted it much earlier in their buying journey. In this case, talking about price in content that’s targeted to later-stage buyers just wastes everyone’s time. You’re better off explaining topics they need to purchase. By segmenting how your customers feel and behave throughout the entire buying journey, you’ll create better content that moves a prospect from one stage to the next. Furthermore, tie your content to your products and services. Address your readers’ problems, but don’t stray too far from your expertise. 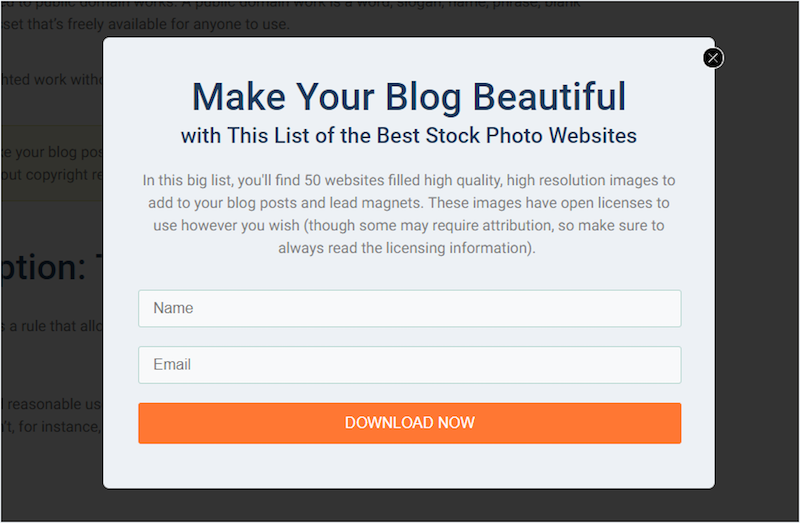 Lead magnets are downloadable or gated pieces of content your readers can access if they pay with their email address. Once they subscribe through an opt-in form, they are directed straight to the content or they receive an email with a link. The purpose of a lead magnet is to transition the visitor to the next stage in your sales process. As a reader, they’re in the awareness stage. As a lead on your email list, we consider them in the consideration stage. Here’s a basic two-step opt-in form for a lead magnet. The reader clicks a button within an article, then receives the opt-in form. This is the link, image or page element that draws their attention to an opportunity to take action. This is a place for the reader to submit their email address. This is when you deliver the premium content and add their name to your email marketing tool. To set up lead magnets, use a tool like Leadpages or OptinMonster. When your customers need to buy a product, they usually choose from the ones they’ve been exposed to the most. This is the mere-exposure effect.We know people need seven to 13 touch points before they’re willing to buy, so we can use the mere-exposure effect to make multiple connections. By nurturing your leads with email content over time, you establish a pattern of micro-yeses. This builds a trusting relationship for the big yes you really want (when you ask them to spend money). The goal is to train your subscribers to take action. Yes, it’s great if they read your emails but your emails must compel them to take the next step – even if you only ask for a click. By consistently educating your prospects and motivating them to take action, you’re positioning yourself to be the obvious choice when they’re ready to buy. Notify your subscribers of your recent blog posts, podcasts, or upcoming webinars. Notify them of your guest posts or syndicated content. Link to press features or other mentions of you or your product/service. Send insightful comments on current events or relevant topics. Introduce your subscribers to useful tools, techniques or strategies. Notify your subscribers of product offerings, discounts or opportunities to buy or enroll. Answer common questions about your product or service. Does this mean you have to send a daily newsletter to your list? No. Use drip sequences to nurture your list automatically. When someone subscribes, have your email tool begin an automation of pre-written sequence that delivers value and conditions them to take action. A welcome to the list with basic information (like links to social media profiles and instructions to keep your emails out of the spam folder). An email (or a few) that acknowledges the reader’s problems and pains. An email that invites them to download a lead magnet. A product offering that’s only available to subscribers. Your drip sequences can be as simple or elaborate as you like. Some people like to use a single sequence upon sign-up. Others create unique sequences that trigger whenever subscribers take an action (like click a particular link, download a new lead magnet, etc.). Most importantly, don’t be afraid to talk about your own product to your subscribers. Since your goal is to stay out of the friend zone, don’t be afraid to push them further toward a conversion. Content that attracts your buyer personas in the different stages of their journey. Calls to action spread through your content to entice visitors to opt into your list in exchange for a lead magnet. Drip campaigns that nurture your reader with value and instill a habit of taking action. Remember: If you don’t ask your website visitors and email list subscribers to take the next step, they usually won’t. To stay out of the content marketing friend zone, consistently push your readers and subscribers to take the next step. 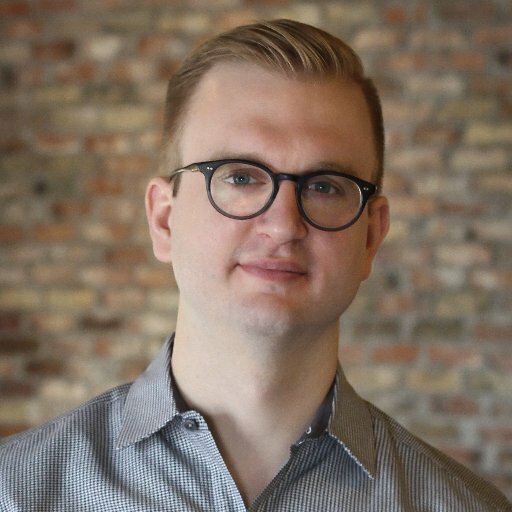 Joel Widmer is the Founder & CEO of Fluxe Digital Marketing, a content marketing shop that helps smart businesses create, produce and promote their content through a unique one-on-one interview process. When he’s not working, Joel can be found snowboarding and trying new restaurants with his wife and son.